This was a quick yet successful soup. 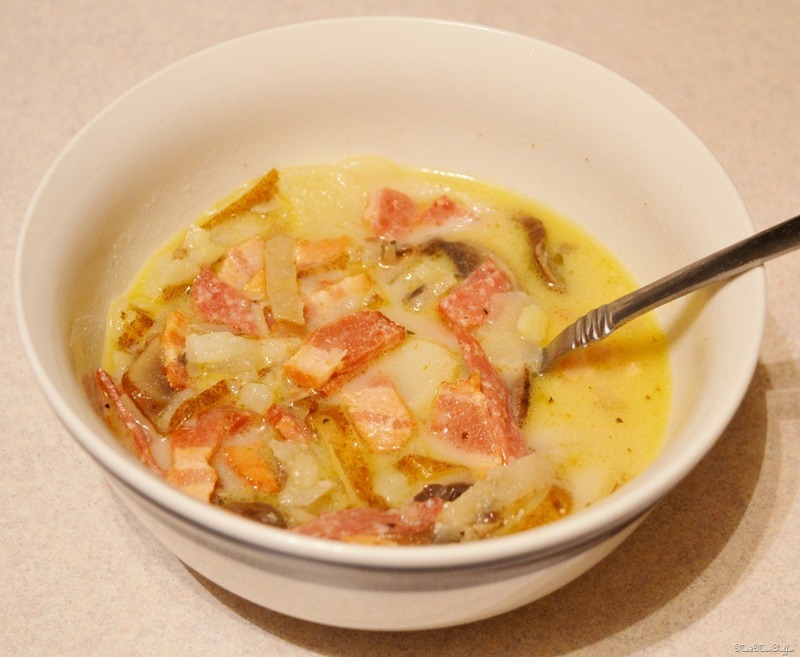 It has a great flavor combination with bacon, potatoes, salami, and portabella mushrooms. It only took half a hour to make this and a Split Pea Soup. These are great hearty soups and easy to make. They also freeze well, just cool then freeze and save for a rainy day… Or any other day that you want.